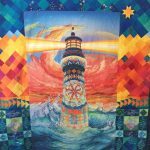 The Lighthouses of Cape Cod panel from Quilt-ish of Cape Cod is featured in this quilt, which is a Storm at Sea pattern done with rulers. 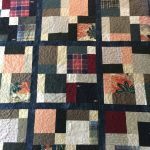 This quilt can be made to order or taught as a class. This was made for the founders of CHAMP Homes in Hyannis, to celebrate their years of service and the many lives that they impacted. The houses are paper pieced and the people are hand appliqued. This was hand pieced and hand quilted using the Circle Game pattern by Jen Kingwell. It was begun at a workshop hosted by Red Thread Studio. 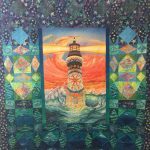 This was made as a fundraising prize for the Treasure Coast Walk with Compassion 2016. It was made with the Hex’n’more ruler by Jaybird Quilts using Kaffe Fassett fabrics. This is a large baby quilt made for a very special baby girl. This was made as a gift for a very special baby girl. This is a sample of a T-shirt quilt that I made for a fishing guide. Shirts are backed with fusible interfacing to stabilize and cut to optimize for each shirt, rather than using a standard block size. Sashing of beautiful batiks is then added in a color scheme to enhance the theme. It is then free motion quilted and hand bound. This mermaid and nautical themed quilt was made as a baby gift for the daughter of a Cape Cod fisherman. 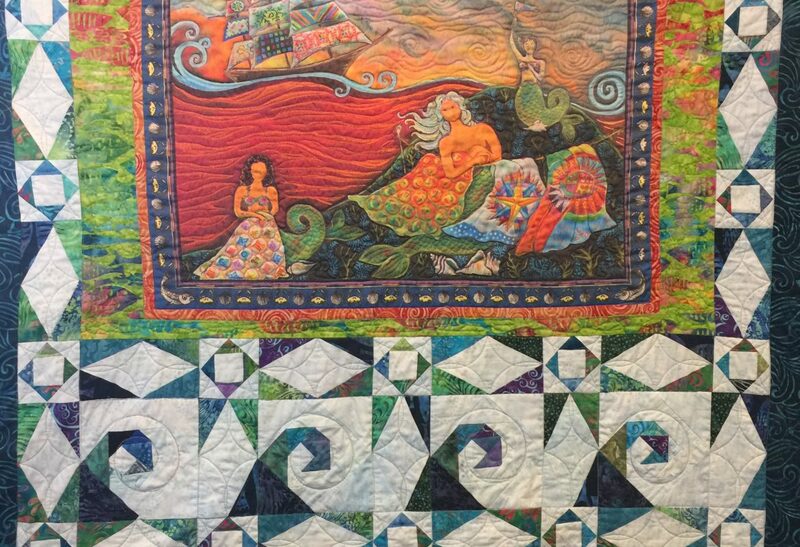 This quilt was made with a panel designed by June Herold of Quiltish of Cape Cod as part of the mermaid challenge in 2015. June provided each of the mermaids with the panel and fabrics and we designed a quilt with them. 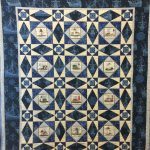 This quilt was made as a prize for the top fundraiser at the Run for Compassion Treasure Coast 2015. This four patch was made as a baby gift for a very special family member. Another quilt for a very special baby boy. I just love making baby quilts. This baby quilt measures 41 inches square and is quilted in gray with hearts to wrap a baby girl in love. It is backed with the turtle print and bound with the lime green. Love the site! Pictures are so nice! Thank you! I am having a lot of fun so far. So happy that you decided what you want to be when you grow up! Miss you! Thanks for visiting my site. Miss you, too, but I’m having a lot of fun! Congratulations! The site is beautiful. Thanks, Bev. Fondly remembering the group lessons you were a part of. Hi Donna. Nice site and start to your new business. Good luck! June H.
Thanks, June. Looking forward to designing some quilts around the beautiful panels from Quiltish. Congratulations Donna. The perfect business for you. Nothing better than doing what you love and sharing it with others. . Thank you, Sue. I am loving it so far! The quilt you made for my gift to my dear friend was the biggest hit at the baby shower! Everyone loved it !! Your design was perfect for her soon to come baby girl !! She was so excited! 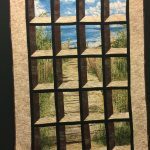 She is going to design the room around your design in the quilt !! I would highly recommend buying one of your quilts as a gift for anyone or just for themselves! There perfect and very special ! One of a kind you can’t get them at the store !! I am so happy to hear that the gift was loved by the mother-to-be. Thank you so much for your kind words. You do such beautiful work Donna. Very nice website. I have discovered that i also love batik.